German court says it won't put on trial 97-year-old former guard at Majdanek death camp due to his health. A German court said on Thursday it would not put on trial a former guard at the Nazis' Majdanek death camp who was charged with being an accessory to murder, The Associated Press reported. The court said that the 97-year-old is too sick to face court proceedings. The Frankfurt state court cited a comprehensive medical assessment of the suspect, saying an expert determined that the man, who was charged in August 2017, would not be able to follow proceedings "in an appropriate way" and a trial would pose a "significant danger" to his life. 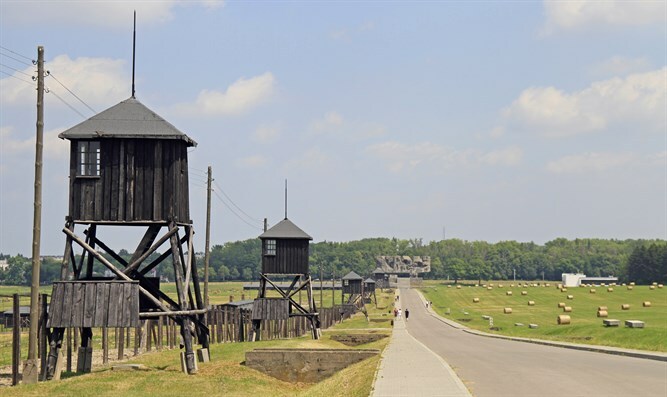 The suspect, whose name has not been released, was charged for allegedly serving at the camp in Nazi-occupied Poland between August 1943 and January 1944. Prosecutors alleged that the man worked as a guard there as a member of the SS's Death's Head division. In particular, he was accused of supporting Operation Erntefest, or Operation Harvest Festival, which occurred on November 3, 1943 and on which at least 17,000 Jewish prisoners from Majdanek and others who were being used as forced laborers in and around the city of Lublin were shot in ditches just outside the camp. Prosecutors can appeal against the Frankfurt court's ruling. The case is one of many to have been opened against suspected Nazi war criminals in recent years. The crackdown on Nazi war criminals began following the 2011 Munich trial of John Demjanjuk, a Nazi war criminal charged of assisting in the murder of 28,060 people at the Sobibor death camp and sentenced to five years. He died in 2012. Some of those convicted of Nazi-era war crimes never served their sentences as they passed away before being jailed. One such convict, Reinhold Hanning, was found guilty of complicity in the mass murders at Auschwitz. However, Hanning died at the age of 95 last year, before he could serve his jail term. Last week, the trial of former Nazi concentration camp guard Johann Rehbogen collapsed due to questions about the 94-year-old defendant's health. He will be examined in January to determine whether his condition has improved enough that the trial can be restarted from the beginning.